Your local provider of Advertising, Graphics, and Website Management. Sunshine has graced us on this weekend of winter celebration. Warm weather and lack of snow kept most riders on the trails. 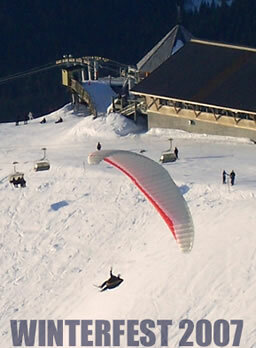 Off-trail conditions attributed to several injuries on what is known as "bullet proof" snow. 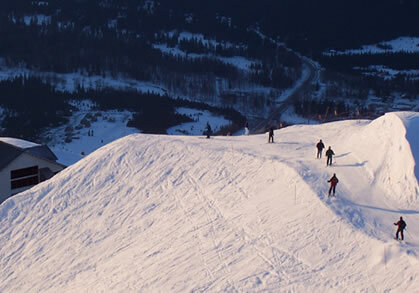 Over 283" of the most sought after commodity in Girdwood fell during December 2006. The previous record was from January 2001 at 274". 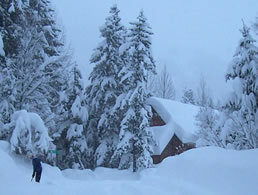 Just before Christmas we recieved over 40" in 3 days. On top of a previous weeks accumulation. That makes for a lot of shoveling! Shopping for a website host? Or, tired of the one you have? local webhost to assure friendly and timely service? 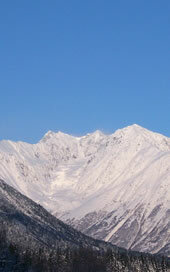 Girdwood.net can host any domain and provide a free yourname@girdwood.net email address. 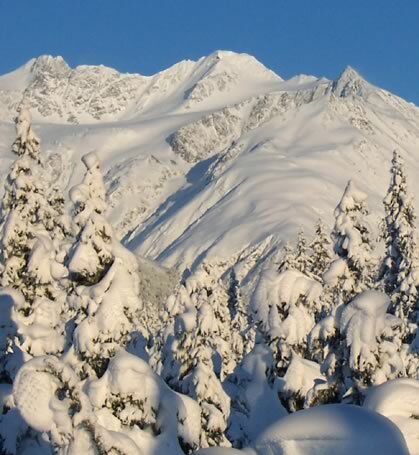 Alyeska Resort...was sold to John Byrne III of Utah, and Cirque Property L.C. Dec. 1, 2006. Marking a new spark of positive energy to Girdwood's morale. Celebrated with a fireworks show from the North Face.